Home Voice Assistants - I'm Sorry, I Can't Help You With That. 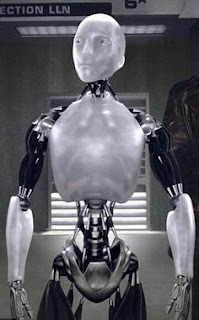 The other day I was halfway through watching a movie, Altered States (1980) and, without any prompting from me, our Google Home Mini Assistant pipes up, "I'm sorry, I can't help you with that." I don't know what it thought the question was? I hadn't said anything at all, and I'm pretty sure no one within a movie released in 1980 said 'Okay Google'. The movie itself is about altering reality by somehow projecting thoughts into existence but I'm pretty sure I wasn't thinking 'Okay Google' at any point during the film. 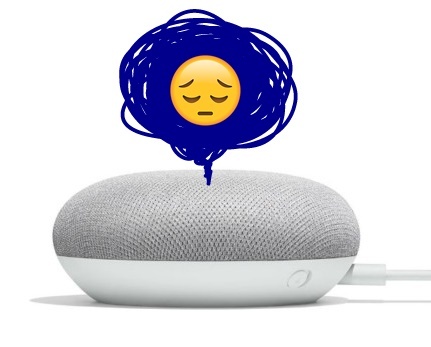 Perhaps, after weeks of nobody asking it a question, our Home Mini just wanted to give a voice to the depression it must be developing as a result of not actually being helpful with anything at all? "I'm sorry, I can't help you with that." Voice assistants are trendy right now but they're really just a stepping stone to autonomous robots. Machines that you can speak to as if it was a living, breathing, intelligent entity. 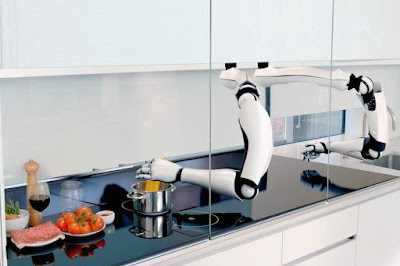 Sure I could deck my home out with all sorts of things that my voice assistant could turn on and off for me but that's not nearly as cool as having your personal chef robot help you cook almost anything. These robot arms have been personally trained by a real Master Chef. It works through a touch screen user interface. Because, really, that is the end goal, creating machines that can understand us well enough to be controlled through voice commands. Ultimately I think it's creating fully sentient machines/beings in our own image but short term, an android assistant along the lines of Sonny, from the movie I Robot is a more achievable goal. Home voice assistants aren't really there yet. Along with Home mini, I have Cortana on all my computers, and Google assistant on my smartphone. My partner has Siri on her phone. We don't use any of them for actual assistance. Occasionally I might give one of them a shot but they nearly always make an easy job much harder. I have to consciously try and speak the words clearly so the voice assistant will understand them the first time. (If you've got a voice assistant you'll know the struggle of trying to get any kind of help if it doesn't actually recognize the words). Once you get into an 'argument' over what you know you said but the assistant can't understand, you may as well have just used a keyboard. That's not even the kicker. If your voice assistant does start giving you an answer, you can't quickly scan for just the bit you need. You have to listen to that computer voice drone on, and on, or you have to cut them off because you've just realized, it would have been much simpler to have used a keyboard and screen in the first place. "Yeah I know. That's why I never asked in the first place."